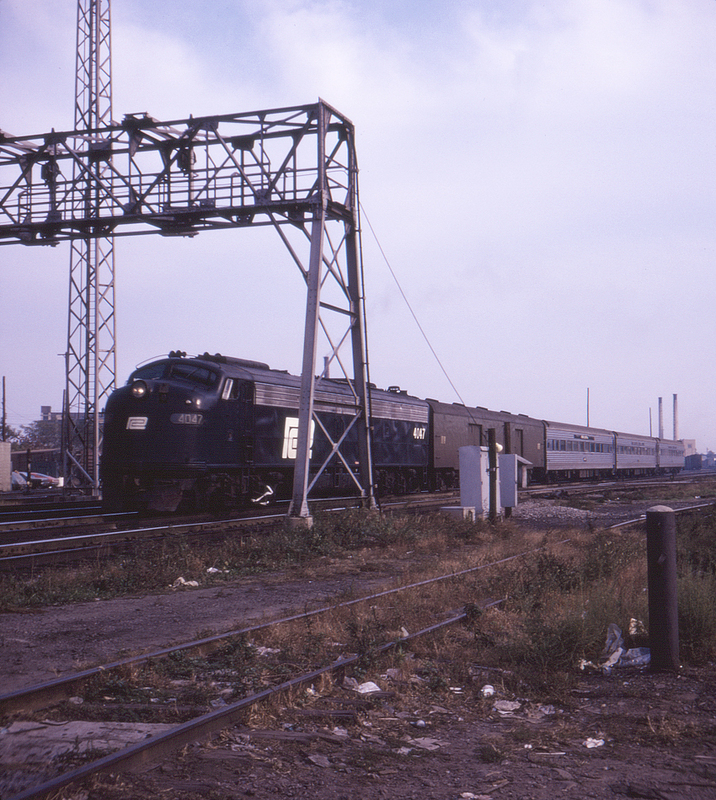 Although what had been Penn Central's Empire Service was by now operated by Amtrak, there's no trace of it in this slide of a westbound train led by E-unit no. 4047 passing the end of Circle Street in Rochester, New York. The floodlight tower illuminates the western end of Goodman Street Yard.